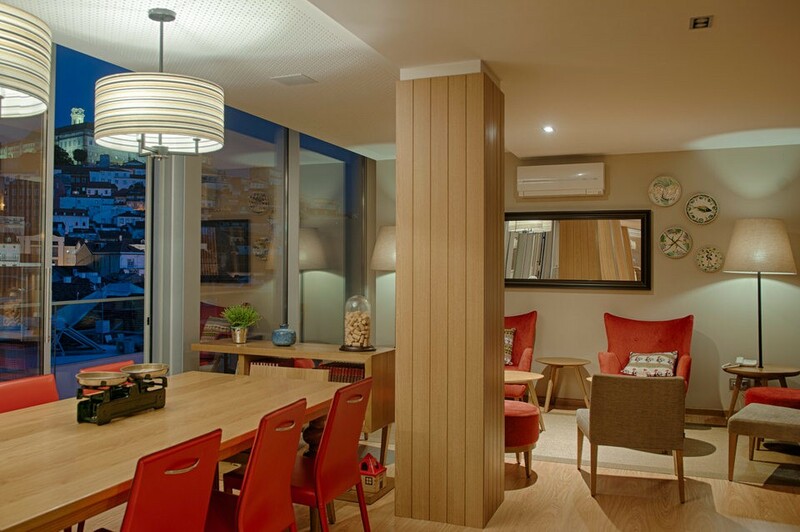 Here at Hotel Oslo – Coimbra, we are committed to offering great value accommodations that don’t compromise on comfort, hotel services or convenience of location. We offer a range of free extras and amenities to make your stay in the center of Portugal extra special while keeping it affordable with travel package deals available. We want to encourage our hotel guests to enjoy local attractions and especially indulge in classic local cuisine and the Portuguese flavors. On the top of the hotel there is an open and inviting room. This area deserves your visit as much as any other sight in Coimbra, bring your camera too!! Our bar has probably the best view over Coimbra you’ll find: take a close look at the downtown, uptown, University of Coimbra or even the river. There is an awesome outdoor terrace for soaking in the views. You may either relax and read a book during the day, have a light snack or soup for a light dinner, sample local wines and liquors in the evening or simply come over for a night cap. Check the hotel and bar specials. We know breakfast is your most important meal of the day and because of this just Steps away from your pillow, Hotel Oslo-Coimbra offers guests a wonderful start to the day with a free breakfast buffet! We have gone to the effort of including locally produced foods and food ingredients: local honey and beautiful home-made pumpkin jam, fresh seasonal fruit, Coimbra regional cake, quality Portuguese “Delta” coffee..even our baker is part of our local immediate family! Coimbra downtown parking can be an expensive and scarce commodity among streets with centuries of existence. 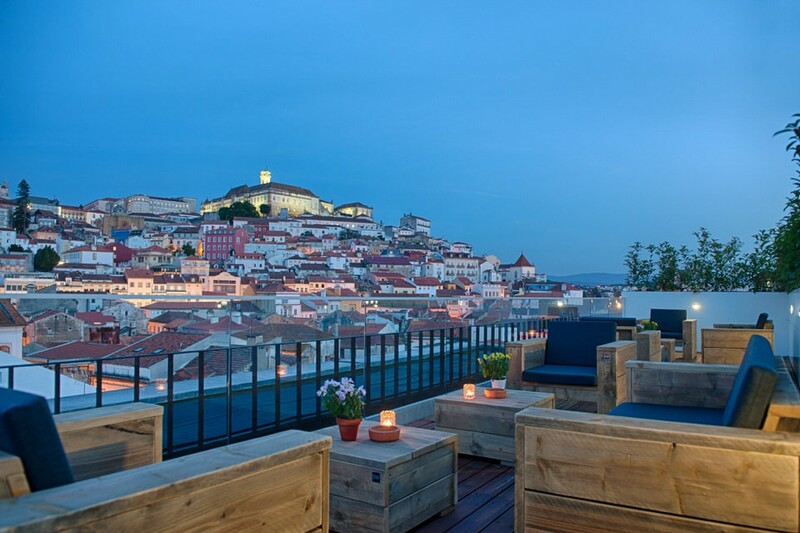 For this reason, Hotel Oslo Coimbra offers free parking and free valet service. At checkin, simply park in the designated spot at the entrance of our hotel. Our valet will take it from there and it will be locked and waiting in our adjacent hotel parking garage. Guests enjoy safe and secure parking at no cost for the duration of your stay as a guest of Hotel Oslo-Coimbra. Throughout the last few years, internet became more than a means of communication to be part of our daily lives. At the Hotel Oslo Coimbra, we’ve always believed that Internet service should be free and accessible. For our guest’s convenience there is free wireless (WiFi) internet access in every room and all over the hotel. Check-out time is 12:00pm daily, however, we are happy to store luggage for guests who want to enjoy our city just a bit longer. See our representative at the Front Desk for assistance. Our House-keeping services will ensure that you’ll always find a comfortable place to get back to while you are in Coimbra. 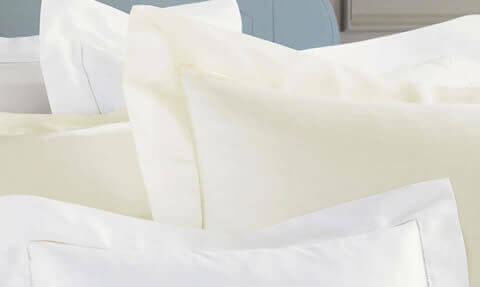 If you have some clothes needing cleaning or freshening-up, we do have a quick laundry service at your disposal. If you need to use a computer with internet connection, printer, copier or fax, Hotel Oslo Coimbra offers business center services for a small fee. To have a different view of the city, to exercise or purely for fun, why not pedal along the romantic Mondego river or the traditional downtown of Coimbra. Cell phone chargers or international plugs, wake-up or room-service, laptop loan, forgotten hygiene products or Coimbra city maps..
Our privileged location in the center of Coimbra, might just be what you are looking for to organize your small meeting or event in Coimbra. 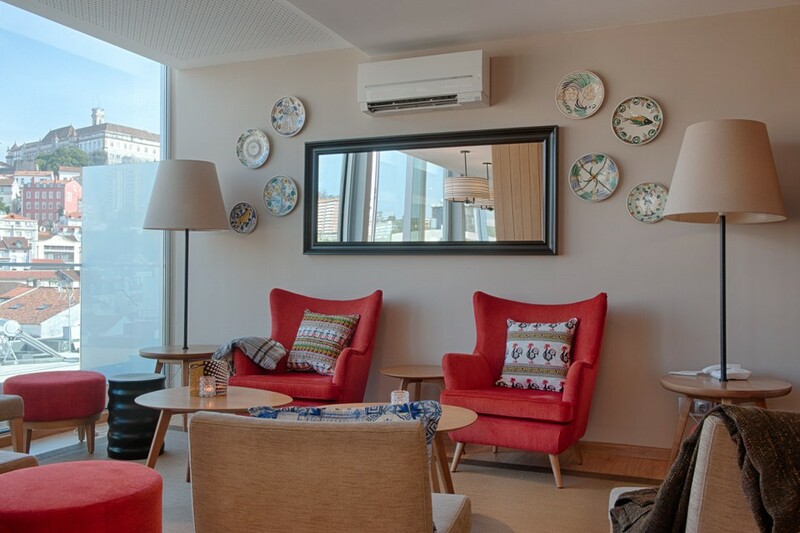 The Hotel Oslo Coimbra features an inspiring room with a large terrace and a wonderful view over Coimbra that allows for events and meetings of up to 50 people. Download the brief-sheet for more information. 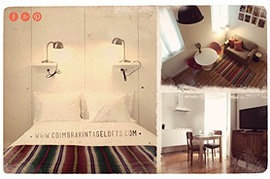 Contact our hotel in Coimbra for how we can help you.